Can’t say I ever cared too much for this 1999 film but it does have some great action scenes which in some ways compensate for the “as if!” moments. Even though it doesn’t reference Sydney that is where most of it was filmed as the city’s Central Business District portrayed a generic metropolis better than most of its world city counterparts due to the lack of highly recognisable skyscrapers. 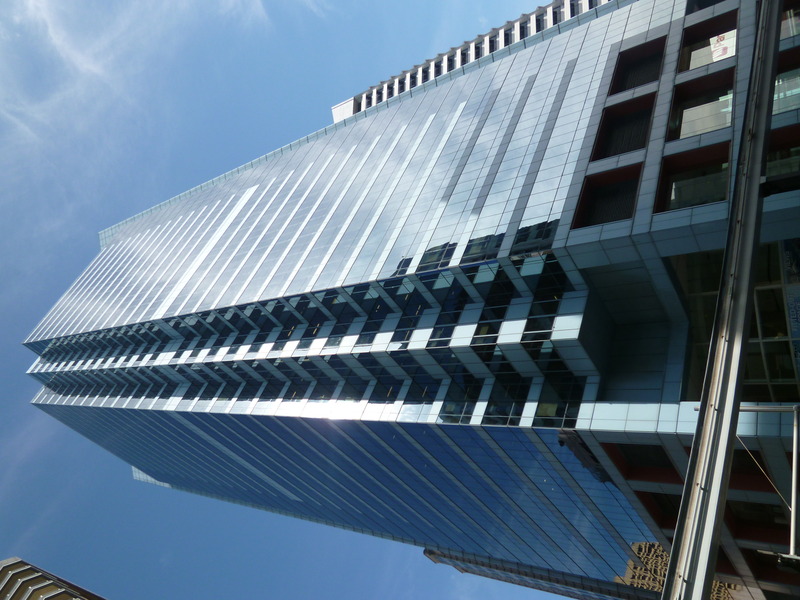 Keanu Reeves plays Neo; the computer programmer who leads a double life and is chased down by Matrix agents on 12 minutes at the Westpac Plaza (below) on 273 George Street where he works. He does try to escape from them by climbing out on to the window ledge on 16 mins before admitting defeat and giving himself up for capture. 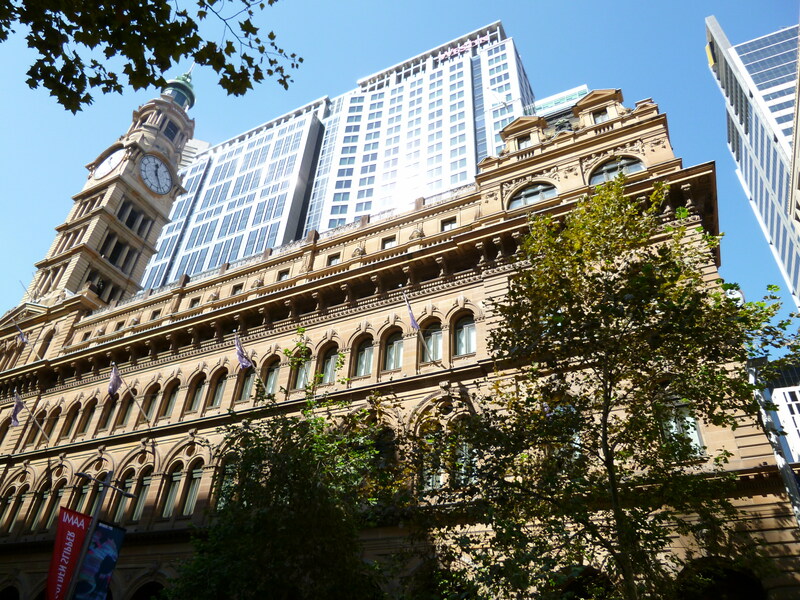 The combat training featuring the distracting woman in the red dress takes place at Martin Place (below) on 57 minutes where the street meets Pitt Street. This circular fountain is where Morpheus tries to explain something or another about the Matrix and six years later the very same fountain appeared in ‘Superman Returns‘. A screenshot and different photo from that film can be seen here. 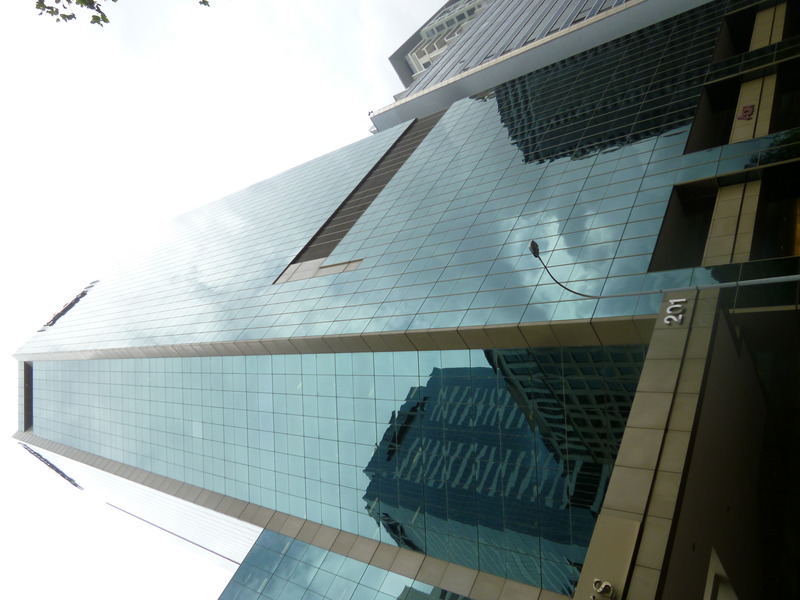 Chifley Plaza at 2 Chifley Square is the tower (below) holding the restaurant which comes on screen after 64 minutes where Cypher switches sides over a juicy and delicious steak with Agent Smith whilst uttering some b*llocks about his steak not really existing. 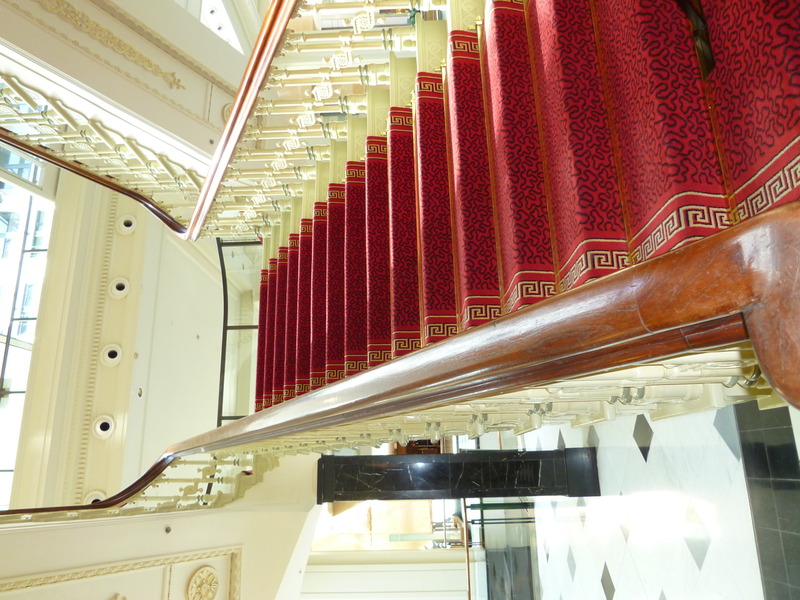 The Westin Hotel at 1 Martin Place (above) was used for interior shots involving the chase scenes and the ‘deja vu’ cat around the 78 minute mark on the hotels grand staircase below. 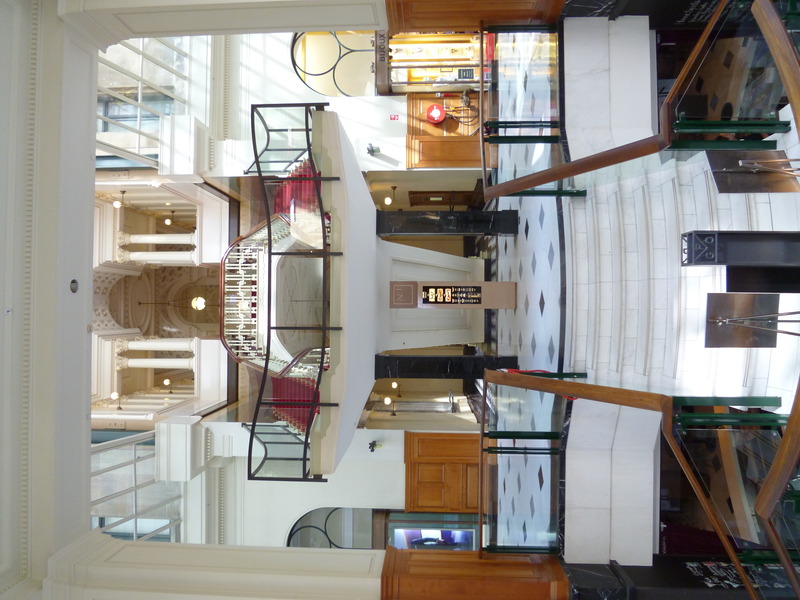 Below is the Colonial State Bank Centre which can be found at 52 Martin Place. Agent Smith holds Morpheus captive here on 91 minutes after their slowly choreographed fight 27 minutes earlier. On 106 minutes the Aon Tower (above) at 201 Kent Street can be seen behind the building rooftop where Neo and Trinity take part in one of the most ridiculous slow-mo shooting scenes in cinema history before they take a helicopter on 107 minutes and fly in front of the aforementioned Bank Centre where they fire at the evil Smith and his fellow kidnapping pals. Morpheus leaps for freedom and is miraculously caught by Neo as tends to happen in films. The helicopter then flies over Sydney’s relatively anonymous skyscrapers with them dangling down from it. Having dropped off Morpheus, Neo lands safely on the Allianz Centre on 110 minutes but the helicopter crashes into the British Telecom Tower opposite it. These two buildings (below) are located at 2 Market Street and 1 Market Street respectively. 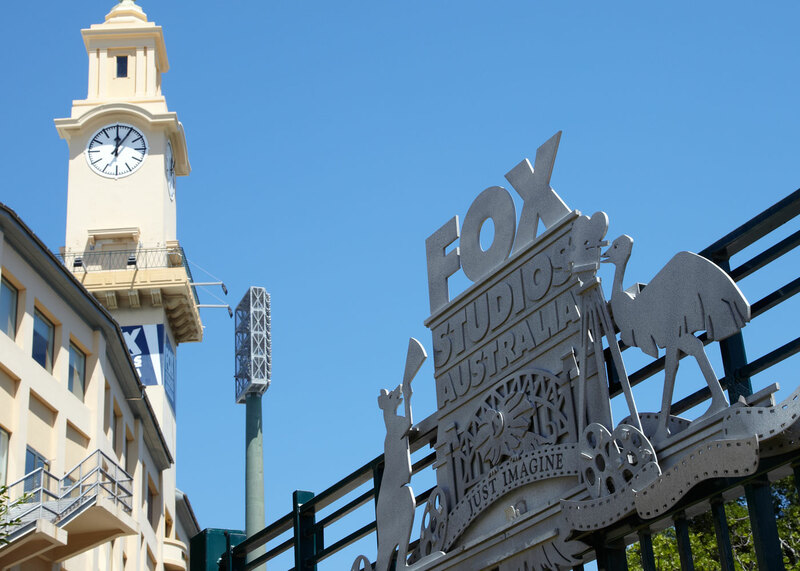 Much of the film was of course made in the studio with Fox Studios Australia (below) in Moore Park being the ones used. ‘Star Wars Episode III‘ and ‘Moulin Rouge‘ among others were also shot here. 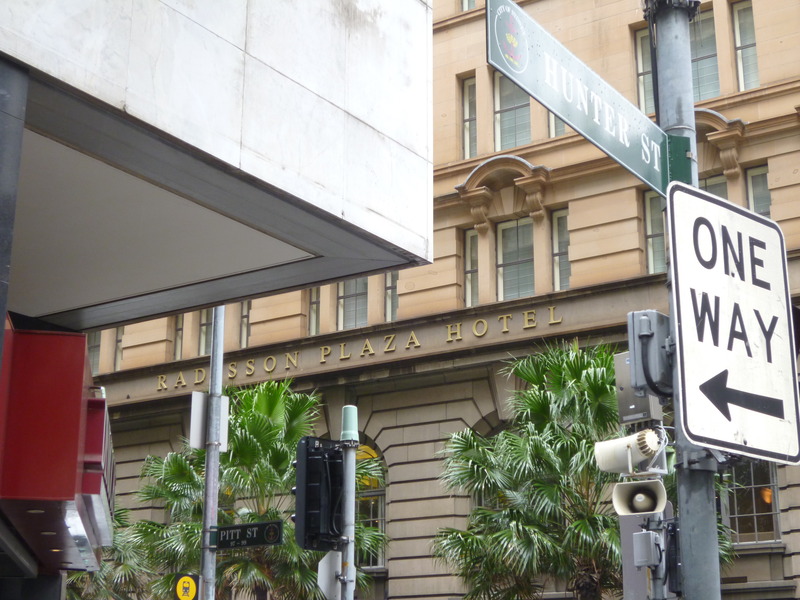 The corner of Pitt Street and Hunter Street (above) was the location for the fake phone box where Neo makes a final phone call to the machines on 128 minutes. 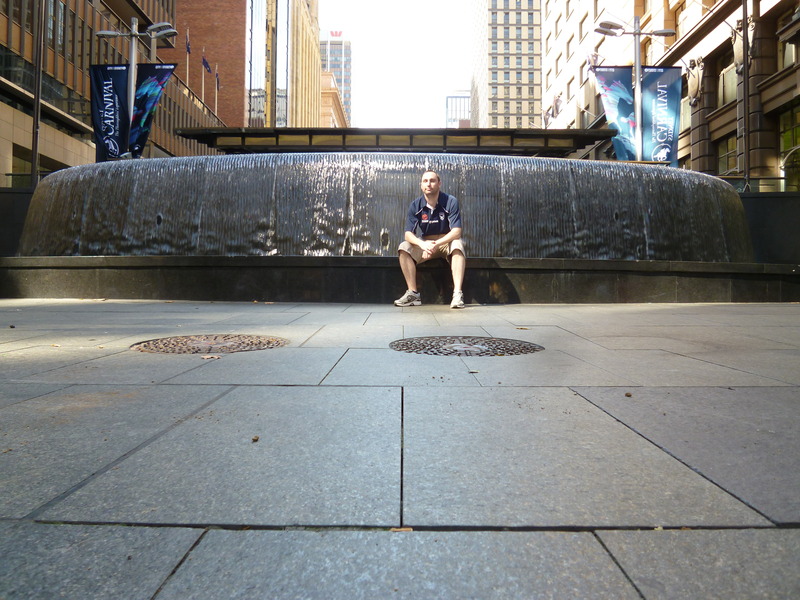 This entry was posted in Australasia Travel, Movie Locations and tagged fox studios australia, keanu reeves, neo, sydney, the matrix filming locations, the matrix sydney film locations. Bookmark the permalink.